The Center for Water and the Environment (CWE) is the CSU, Chico hub for research and education activities related to water and the environment. The faculty, staff, and students affiliated with CWE come from the following diverse fields: agriculture, biological sciences, chemistry, economics, engineering, environmental sciences, geography, geological sciences, mathematics, social sciences, and statistics. The Center’s mission is to connect people from across campus as well as outside the University, respond to societal needs, expand competitiveness in the research of water and the environment, and expand and explore out-of-classroom learning opportunities for undergraduate and graduate students. More information is available on the CWE website. 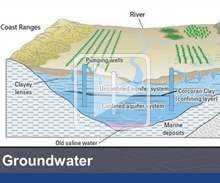 The purpose of California’s Sustainable Groundwater Management Act (SGMA) is to ensure long-term, sustainable management of the state’s groundwater. The law requires extensive local implementation measures, as each county was required to create a Groundwater Sustainability Agency (GSA) by June 2017. 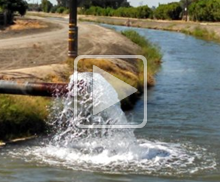 In this presentation, the speakers discuss activities that are taking place in Butte County to comply with SGMA. The presenters focus on the groundwater characteristics of Butte County – including such factors as geology – and the efforts to implement SGMA. The California State Water Project (SWP) received its first funding in 1959. It has grown to become one of the largest public water and power utilities in the world. Water is collected from Northern California rivers and is redistributed to Southern California through a series of dams, aqueducts, pumping stations, and power plants. The project has agreements through the years 2035-2037 with 29 water contractors. 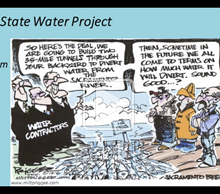 In this presentation, Paul Gosselin explains how SWP impacts Butte County; Oroville Dam is part of the SWP. Water management is always a concern in California. 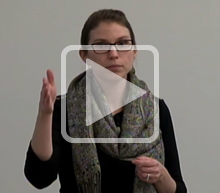 In this presentation, Dr. Christina Buck points out, “You can’t manage what you don’t measure.” Water budgets are an important tool for understanding how much water flows through a hydrologic system, including measurements of inflows by source and all water uses from agricultural to urban. Using Butte County statistics as a model and highlighting portions of the 2016 Water Inventory and Analysis Report, Dr. Buck illustrates how careful analysis of such reports over the years can show variations in streamflow, land use, water diversion, water sources, groundwater pumping, and other trends. Water Origins: Where Does Our Water Come From and Where Does It Go? Every day, we turn on a tap and water comes out. As we do this, we might want to ask some basic questions, such as “Where does water come from and where does it go?’ While it seems like a simple question, the answer is more complex than might be expected. 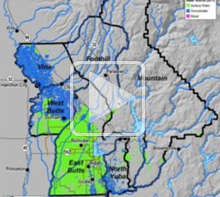 In this presentation, Becky Holden provides a basic introduction to water, with an emphasis on Northern California, the Sacramento River Watershed, and its six subregions. The topics she covers include the water cycle, surface water, groundwater, watersheds, and water systems. 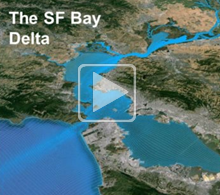 The San Francisco Bay Delta is the largest estuary on the Pacific Coast of the Americas. The two presenters combine to offer a great deal of information about the San Francisco Bay Delta, starting with Natalie Carter’s answer to the question, “What is a delta?” Carter provides a natural history of the Bay Delta, explaining how human activities have caused significant changes in its ecosystem over the past 150-plus years. 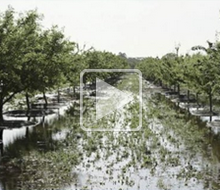 Michelle Banonis discusses the Bay Delta’s relationship to California water. She gives an overview of the massive federal Central Valley Project that includes 20 dams and reservoirs, 11 power plants, and 500 miles of canals. This huge infrastructure has greatly affected the Bay Delta ecosystem, especially the amount of freshwater that flows into the Bay. Both speakers conclude by offering possible solutions to improving the natural values of the Bay Delta. 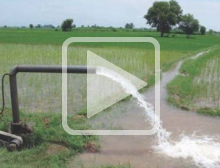 In 1997, the government of Pakistan passed laws to decentralize the irrigation system and hand its management over to farmers. Dr. Chaudhry’s presentation is based on an extensive field study in rural Pakistan of the organization and collective action among farmer groups since that time. She presents information about farmer cooperation in managing irrigation systems. Dr. Chaudhry also discusses whether successful action among farmer groups has had an effect on farm-level water use efficiency. Dr. Daryl Farmer reads from and discusses “Bicycling Beyond the Divide: Two Journeys into the West.” His book follows him on his 5,000-mile journey through the diverse populations and ever-changing physical and social landscapes that make up America. In 1985, Dr. Farmer traveled by bicycle through 11 Western states and the Canadian province of British Columbia. He wrote his book 20 years later, using the notes from the journal he kept while “on the road.” His story takes place in the context of the world of the mid-1980s and also in the context of his current perspective. He is the recipient of Barnes and Nobel’s Discover Great New Writers Award.